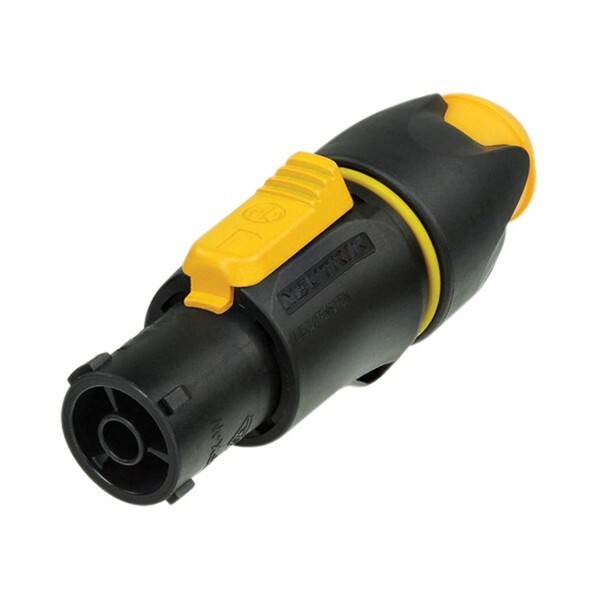 The Neutrik NAC3FX-W Locking Waterproof 16A PowerCON TRUE1 Connector is the perfect solution for replacing appliance couplers when a robust locking solution is required for a safe power connection. The NAC3FX-W features breaking capacity (CBC), which allows it to be safely connected or disconnected when under load or live. The connector is dust and water resistance according to IP65 when in mated conditions, and is equipped with an intuitive and reliable twist-lock system. It uses UL recognized components, and is ENEC certified according to IEC 60320. The NAC3FX-W is crafted with care to meet Neutrik's legendary construction and performance quality standards.